Ben Anderson is an investigative journalist of global concerns, also a writer and a television reporter he brings stories home. He made Holidays in the Axis of Evil, traveling secretly through Iran, Niraq, North Kore, Syria, Libya. He spent two months in Helmand with the Grenadier Guards to film, Taking on the Taliban. He has looked into topics of slave labour in Dubai, deforestaion, world champion boxing, drug trade,. 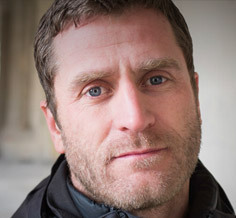 His book, No Worse Enemy (2012) covers his experiences in Afghanistan. His recent documentary, This is What Winning Look Like, follows American and British Troops withdrawal from Afghanistan and the real affects of this, from the Afghan interpretors left behind to the NGO-operated hospitals that continue to cope with increasing numbers. This recent work won the Frontline Club Award and the Beyaux-Calvados Award.